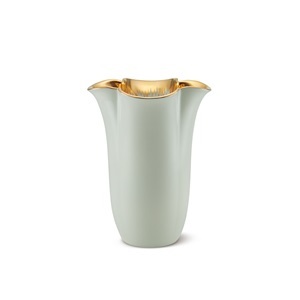 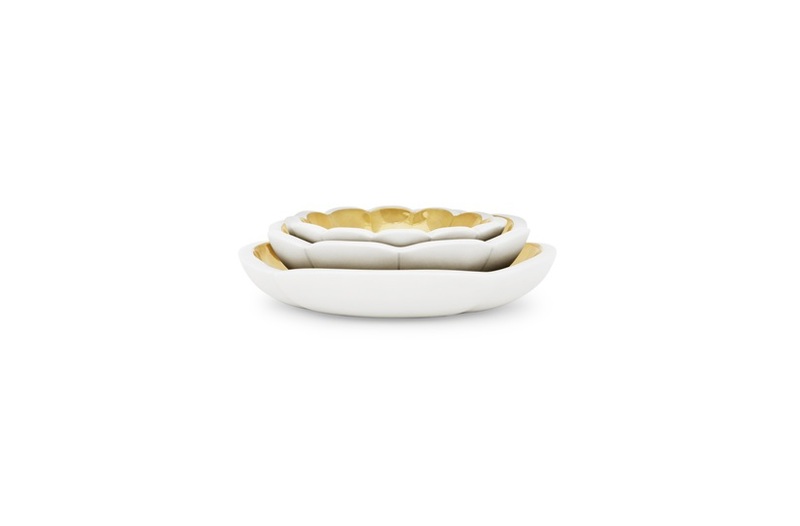 These Bellamy flower dishes and catchall are made of mist ceramic with 18K gold trim. 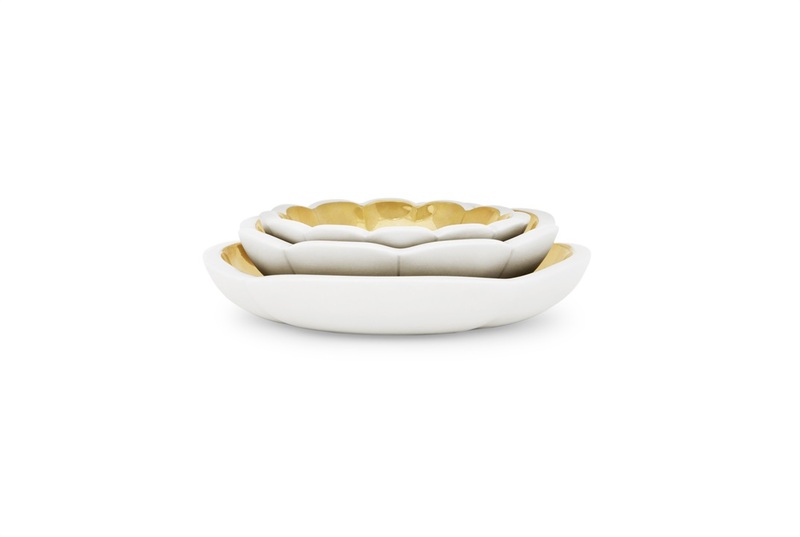 Beautiful pieces for adorning a romantic coffee table in a modern living room décor. 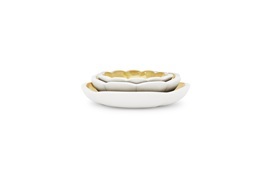 Sold in a set of four.